Pictures: Annette Schiller, ombiasy PR and WineTours, and Christian G.E. Schiller having an Australian Wine at Bintan Lagoon Resort on Bintan Island in Indonesia. Suhaemi Opened the Bottle. In 2014, I spent the month of October in Singapore. A number of beach resorts in Malaysia and Indonesia are just about an hour away from Singapore by ferry. Singapore residents go there for long weekends. We went for a few days to Bintan Lagoon Resort on Bintan Island in Indonesia. One of the advantages of Bintan Lagoon Resort is that it has its own ferry shuttle service and its own border crossing point, which is very convenient. Exchange rate at the time of my visit: S$1 = US$0.8. Prices at the Bintan Lagoon Resort were in S$. Indonesia straddles the Equator between the Indian Ocean and the Pacific Ocean. With 18,110 islands, 6,000 of them inhabited, Indonesia is the largest archipelago in the world. Indonesia is a member of the G-20, the 20 largest economies in the world. The Indonesian economy is the world's 16th largest by nominal GDP. While the rich shop and party in Jakarta and Bali, half of the population still earns less than USD2/day. 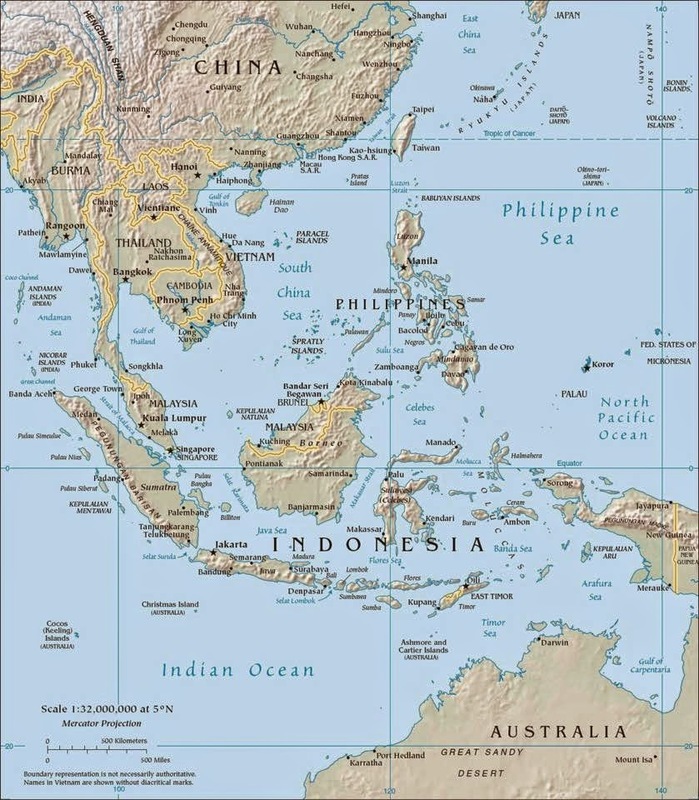 About 240 million people live in this fourth most populous country in the world — after China, India and the USA — and by far the largest country in Southeast Asia. Indonesia also has the largest Muslim population (Sunni) in the world, accounting for 90% of Indonesia’s population. The first Europeans to arrive were the Portuguese in the 1500s. By the end of the century, however, the Dutch had pretty much taken over, leading to 350 years of colonization. Indonesia is a Muslim country. Muslims are not permitted to consume any alcoholic drink. Indonesia’s wine sector is therefore small relative to its large population. Pictures: Wine at Bintan Lagoon Resort on Bintan Island in Indonesia. The wine industry is tightly regulated by Government, although Government has relaxed its grip on the sector in recent years. The Government imposes steep duties and taxes on imported wines. Not too long ago, wine could only be imported by one state-owned enterprise, which was in charge of wine imports. Today, there are about 20 private official distributors that import directly wine, within a mandated quota. Wine imports are growing at a fast rate. The growth is fueled by increasing wine consumption among affluent Indonesians, mainly in Jakarta, including the burgeoning middle class that is increasingly young, educated and urban, and at the Hindu majority tourist island of Bali. Singapore, Malaysia, Japan, Australia, China, South Korea, and Taiwan accounted for the majority of tourist arrivals by nationality, followed by the United States, the United Kingdom, Germany, the Netherlands, and France. In the tourist sector, wine and spirit consumption is only permitted in licensed four and five star hotels, upscale restaurants, and bars. Most imported wines in Indonesia come from South Africa (30 percent), Chile (20 percent), Australia (20 percent), France (10 percent), and other European countries like Italy, German, and Spain (10percent), and the United States (10 percent). The consumption of red and white wines is of equal amount in general. Red wines tend to be favored more among consumers in Jakarta and other Indonesian cities, while white wines are the preferred choice of consumers in Bali, which tend be mostly tourists. Launched in 1994, Hatten Wines on Bali is the only Indonesian winemaker of some relevance. Winemaking in the tropical climate is very challenging, due to equatorial heat, monsoons, fast growing fungi and voracious root-munching termites. Hatten Wines buys its Alphonse-Lavallée grapes from several growers and has its own vineyards with Belgia white grapes. The tropical climate of Bali makes for the unique character of winemaking in Bali: grapes are harvested year-long from evergreen vines and wine can be produced in several vintages per year (every 120 days, in fact) instead of the traditional yearly vintage production of other wine areas.